Made with eco-friendly chemicals, this is not to be confused with a bygone era of creosote. 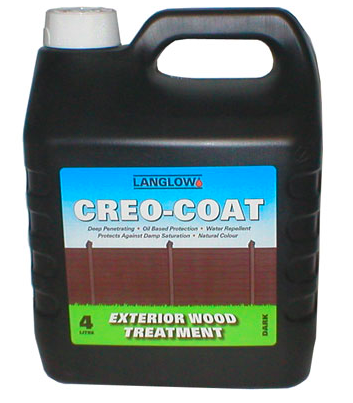 Creocote is an oil based wood treatment. 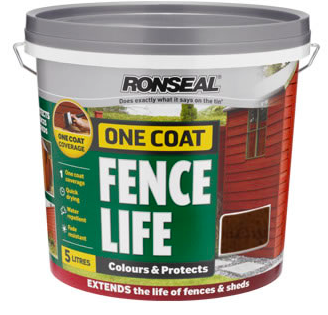 It is formulated to be effective when applied to exterior timbers such as garden sheds, fences and trellis work, improving surface water repellency to restrict weather damage. 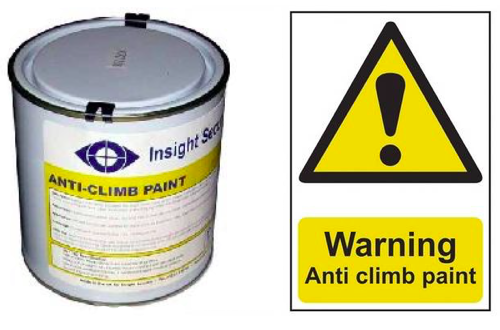 Anti-climb paint (also known as non-drying paint, anti-intruder paint, anti-vandal grease) consists of a thick oily coating that is applied with a stiff brush, trowel or by hand using a protective glove. In appearance it is similar to smooth gloss paint when applied but it remains slippery indefinitely thereby preventing any intruder from gaining a foothold.